"growing great gardeners in greene county..."
The Big Spring Master Gardener Association has had nine very productive and profitable years. 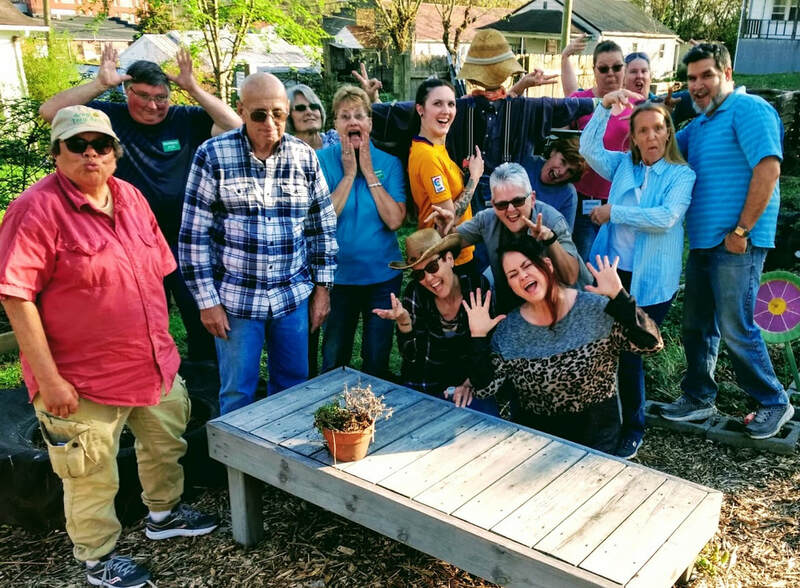 The organization officially began in April of 2010 with the inception of ten original Master Gardener trainees from UT Extension, Greene County. The organization has proceeded to grow in the last nine years with an overall membership of over forty at present time. Currently, the BSMGA is actively involved with several community projects throughout the county. Please see the "Projects" tab for more information. expanding the capabilities of Tennessee Extension to provide residential and consumer horticultural information to individuals and groups in the community. developing a Tennessee Extension Master Gardener volunteer network that works in close collaboration with local Extension personnel to meet local needs. developing community programs related to horticulture. Depending on the needs of the community, these programs might include providing speakers for horticultural presentations, or demonstration or production gardens designed to improve access to information or produce. recruiting and training volunteers interested in helping area residents solve their gardening problems. Ask an Extension Agent a question here!